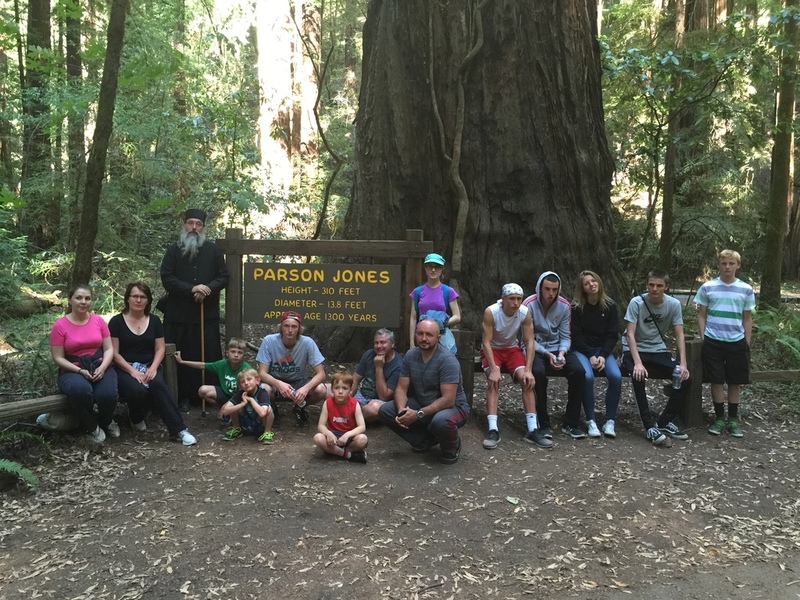 This year, the parish school of Holy Ascension Russian Orthodox Church of Sacramento held its annual Russian River camp from June 21, 2016 until June 25, 2016. 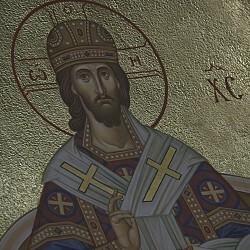 On Tuesday, June 21, a group of participants gathered near the Holy Ascension Church. Once all belongings were safely stored in the vehicles, Father Paul blessed each car and we headed out to the Russian River. After a 2 hour drive, we arrived at the campground and set up two tents. Working together, we quickly assembled them and went to the molebin at the nearby Church of the Mother of God of Kazan in Guerneville, California. Every morning during our stay, we had to get up at 6:30 a.m. and be in church for prayers by 7 a.m. Thanks to the hard work of the parents, we ate delicious meals daily. At the end of each day, we would sit in front of the warm campfire, roast marshmallows and make barbecue. Among the highlights of this camp were the question and answer sessions that took place at the end of each day. During these sessions, participants had the chance to discuss some of the questions that troubled them most and find answers to them. Some of the topics covered in those talks were the nature of sin, the importance of symbolism in the church, and the role of the priest in the church, including the significance of the priest's vestment. 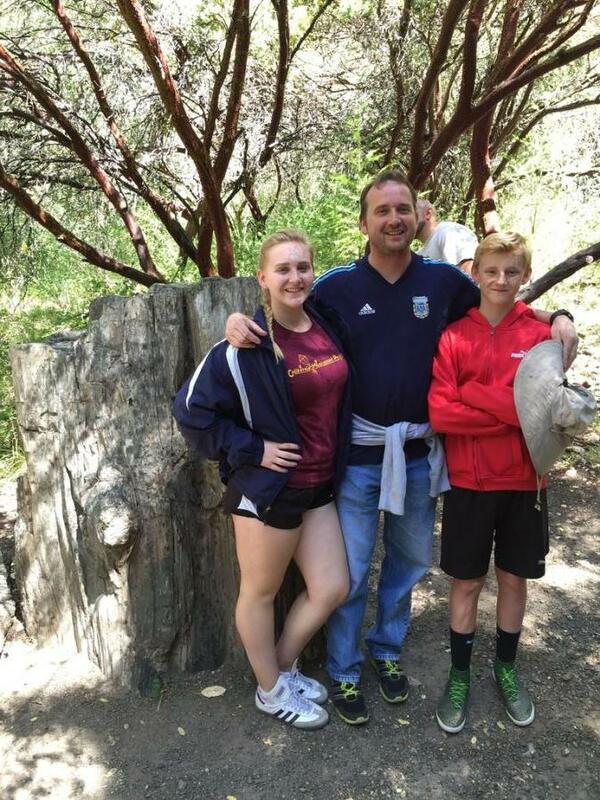 Among the many wonderful experiences we had, going to the Calistoga Petrified Forest was one of the most enjoyable ones. As we entered the forest with a tour guide who was about to let us in on the mysterious formation of petrified wood, we saw a long tree trunk called “The Queen”. While we stood in front of it, we listened to the tour guide discuss the formation of petrified wood and lead us through a fascinating exhibit of petrified wood specimens. She told us that these trees were petrified by a volcano 3 million years ago. To excavate and preserve these specimens, rangers go through a three step process. We discovered that they use a backhoe to dig out the hillside from behind to come closer to the petrified wood trunk. Then, they use a shovel to clean the area near the top and sides of the tree. Once geologists remove the rock of the trunk, the petrified wood specimen emerges. We listened with deep interest and asked questions. After taking numerous pictures, we left the forest and drove up to the Holy Assumption Monastery in Calistoga. The serene and divine atmosphere of the monastery surrounded us as we went to the service and listened to the nuns sing. Later, in the refectory, we were greeted by Mother Melania who gave us an interesting lecture on the progression of sin. As the lecture started, we learned that the descent into sin is really quite a complex and dangerous progression. Mother Melania told us that this descent begins with a thought, which by itself is not dangerous, unless we allow ourselves to dwell on it. The next stage is coupling or toying with this thought but not doing anything actually sinful. It is the following step that is really dangerous, as it involves assent or admitting to yourself that you really want to commit the sinful action. Finally, after this phase comes the action, the actual sin. After an engaging discussion with insightful questions and answers, we finished our lunch at the monastery and went to the Russian River. The afternoon heat invited us all to dip in and refresh ourselves. The pleasantly cold water cooled us and helped us relax after a long drive. We camped for a while next to the river. Another fascinating experience we had was a tour of the lighthouse at Point Reyes. As we toured it, we had the chance to take numerous pictures. We also had an opportunity to read about some of the historical background of the lighthouse. The Point Reyes Conglomerate intrigued us with its unique geological formations. The following morning, after prayers, we headed out to Drakes Bay. The cool ocean breeze and bright sun both cooled and warmed us as we approached the sun-lit bay. It majestically spread out before us and moved us with its beauty. Afterwards, we settled down on the beach for a while. Some of us dipped in the ocean, while others just took walks along the shore, breathing in the healthy ocean air and enjoying the warm sand. 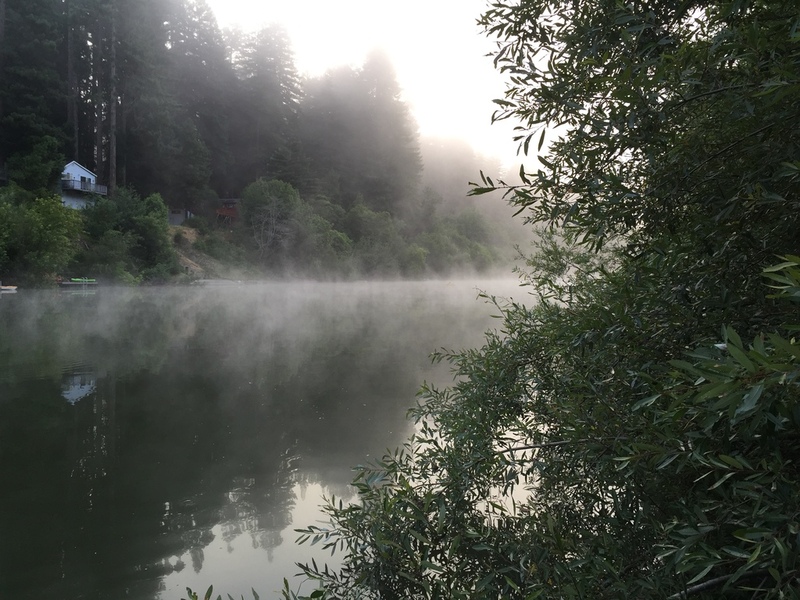 Pleasantly refreshed, we went back to the Russian River. On Friday the 24th, we went kayaking in the Russian River. This experience was particularly delightful, because many of us had the chance to actually drive the kayaks. Some of the participants chose to go at a slightly slower pace in canoes. Invigorated by the exercise in the fresh air, we made quite a long trip along the banks of the river. The last part of our wonderful stay in the Russian River resort was a hike in the Redwood Forest. The tall redwood trees towered above us as we walked among them and took in the beautiful view. Surrounded by the numerous sequoias and Douglas firs, we made our way across the paths of this magnificent forest. On the morning of the 25th, we got ready to go back to Sacramento. After morning prayers, we worked together as we prepared to leave camp. As we drove back, each and every one of us remembered some of the most enjoyable experiences of our stay.